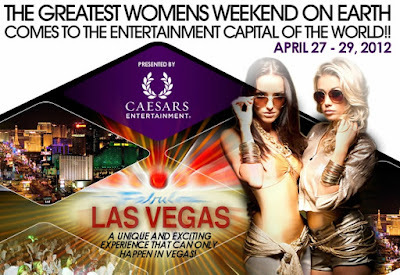 LAS VEGAS (April 27, 2012) – As a long-time advocate of the lesbian, gay, bisexual and transgendered (LGBT) community, Caesars Entertainment is proud to host the inaugural Girl Bar Dinah Shore Weekend in Las Vegas at Planet Hollywood Resort & Casino and Flamingo Las Vegas. In addition to presenting Girl Bar Dinah Shore Weekend 2012, Total Vegas recently served as a sponsor of White Party Palms Springs April 6-9, 2012, with a lavish Total Rewards Lounge offering guests the opportunity to win a Vegas weekend getaway. 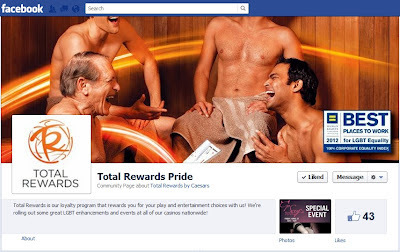 To stay on top of gay events at Caesar's make sure to 'Like' Total Reward Pride's page on Facebook.